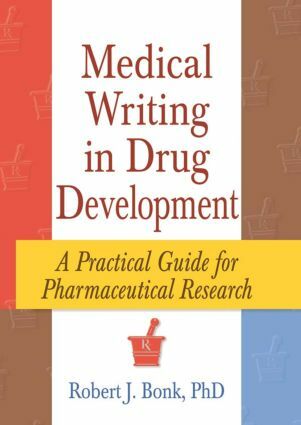 A guide through the maze of the pharmaceutical research and development process, Medical Writing in Drug Development fills a gap in the libraries of technical writers, college instructors, and corporate professionals associated with the pharmaceutical process. As it discusses critical information, such as strategies and techniques pivotal to crafting documents for drug development, it also overviews drug research, document types, the roles of professional writers, and information technology. In no time at all, you will be creating persuasive technical documents, building complex facts into coherent messages, and contributing to the effective marketing of new products with promotional pieces that meet legal and ethical standards. Practical as a foundation text for undergraduate, graduate, and certificate programs in pharmaceutical or medical technical writing, Medical Writing in Drug Development will help you develop practical strategies for handling journal manuscripts, conference materials, and promotional pieces. No other text will clarify the main aspects of the pharmaceutical research and development process while offering you insight on the key issues dominating the healthcare arena.